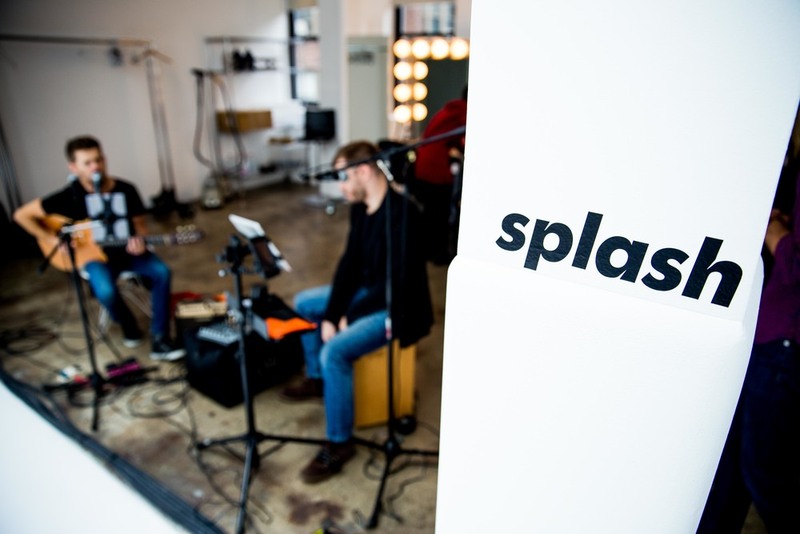 COLLABORATIVE EXPERIENCE - Splash x Barks & Co.
Quick Recap: Splash and Bark & Co. invited 150+ startup & advertising industry professionals to attend a swanky penthouse studio in Hell’s Kitchen for a breakfast party to celebrate the final day of Ad Week. 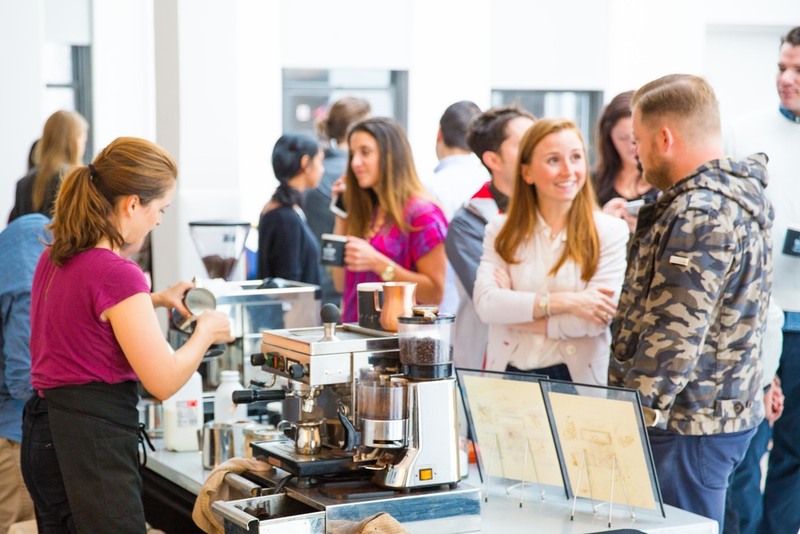 Client Objectives: Give people in town for Adweek an experience they'd remember by incorporating Barks & Co., live music, baristas made coffee drinks and delicious breakfast bites. Which provided an ideal setting to network with fellow industry types outside the stuffiness of Times Square Center and also play with dogs that they could adopt. Differentiating Factors: At check in, guests were given branded mugs and wrote their names in chalk instead of using name tags/cards. Baristas Melissa Knott from grounded coffee catering and Craig Farelly from Brewklyn Grind kept the coffee flowing, Emre Yilmaz serenaded the crowd with some chill originals on his guitar, and Josh Griffiths' team from KG Fare cooked up some delicious bite sized breakfast treats for the crowd. Bark & Co brought in the following dog adoption organizations: Foster Dogs NYC, Social Tees, In Our Hands Rescue & Animal Haven to provide a lively and very relaxed setting to play with dogs of all types and take photos. 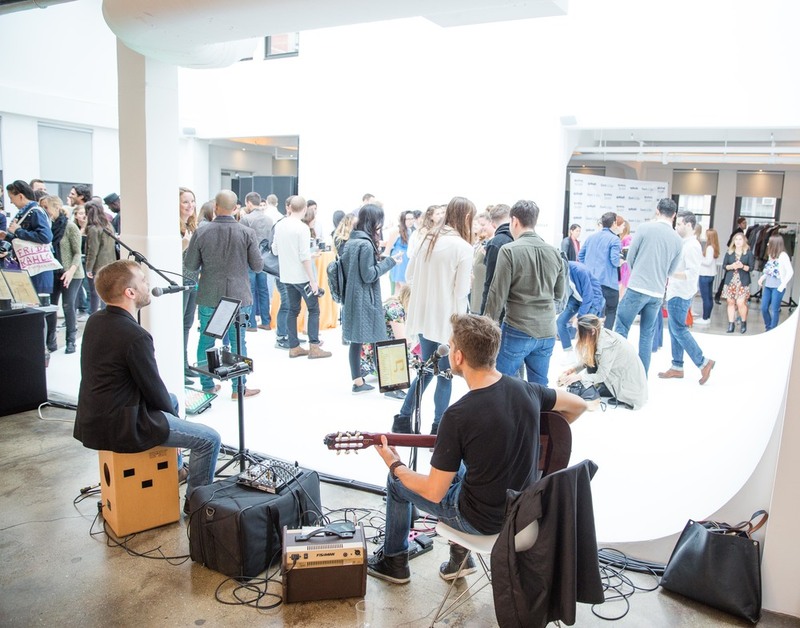 Testimonial: "I overheard so many people say that this was the best Advertising Week party yet," said Leandra Elberger of Venture for America’s.